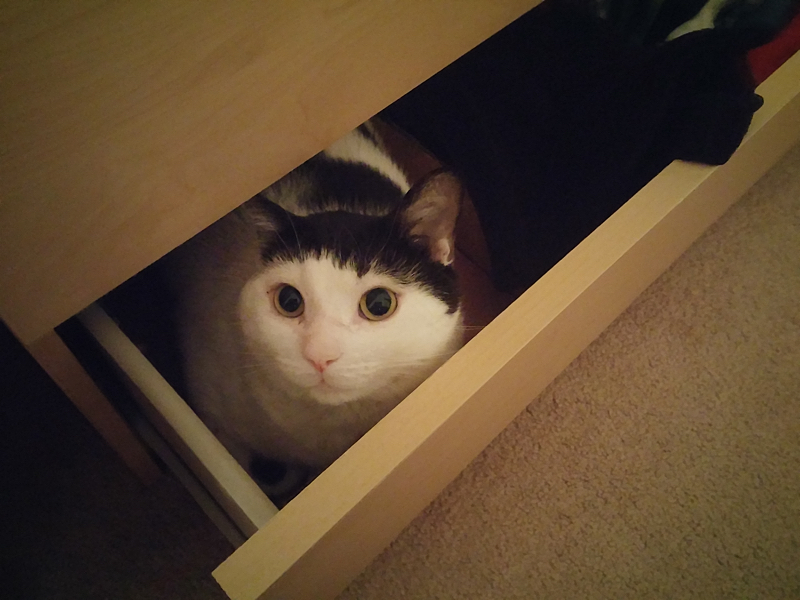 Shawn has a tendency to leave the bottom dresser drawer open, and Lloyd loves to settle into the one side of it. (Because there's an open box in there...) You can always find him in there if it's open! I made morning glory muffins - my favorite! 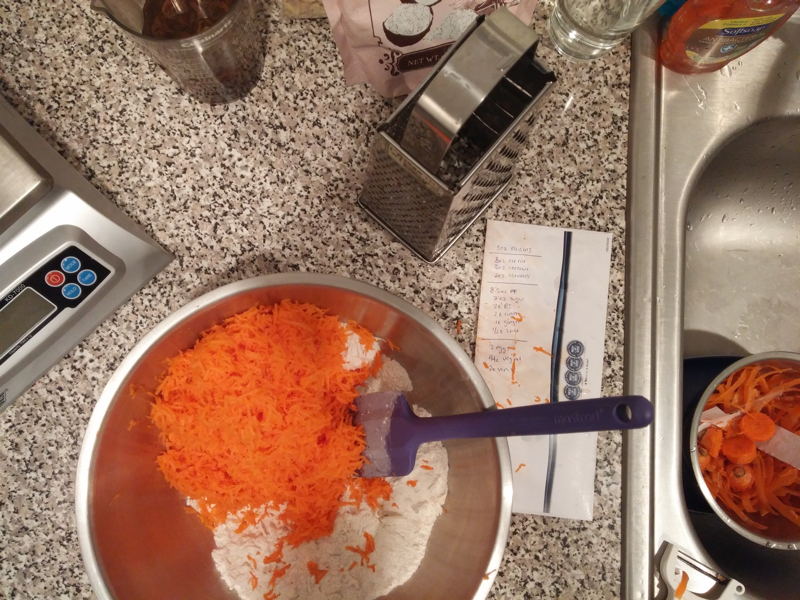 Recipe coming soon! Wednesdays are always a particularly exhausting day for me. 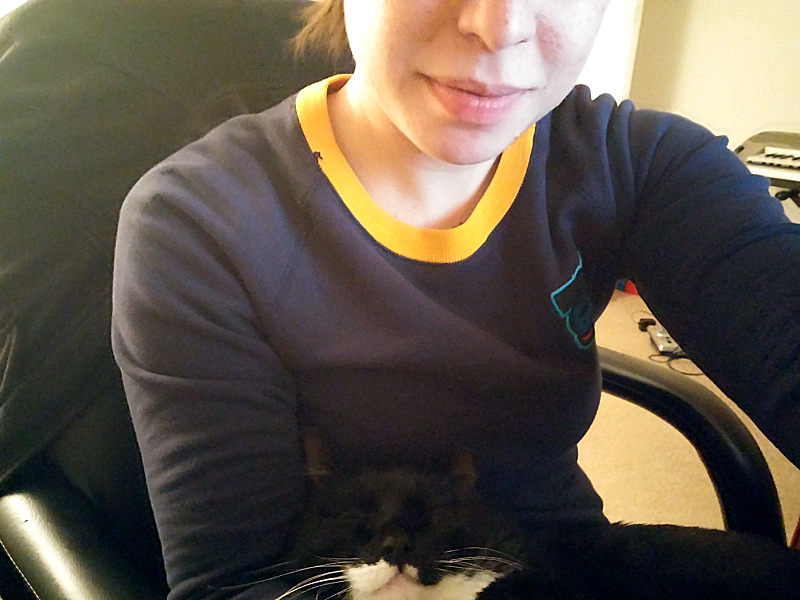 Sylvester loves to join me wherever I decide to relax once I get home. He is the cuddliest cat I have ever known. 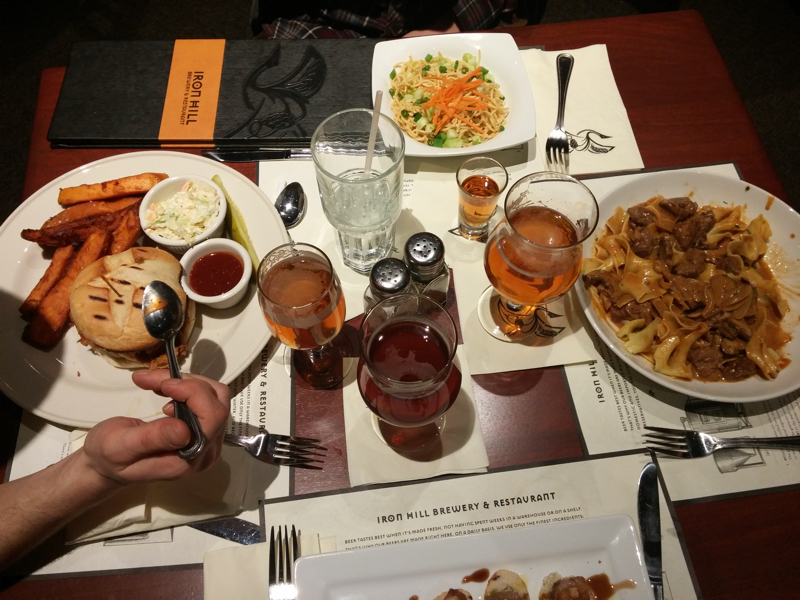 An Iron Hill Brewery recently opened up in our town so we checked it out with some friends. Awesome food and beer! We all shared, and inhaled, their peanut brownie ice cream dessert. Shawn has all sorts of plant experiments around the kitchen and living room... 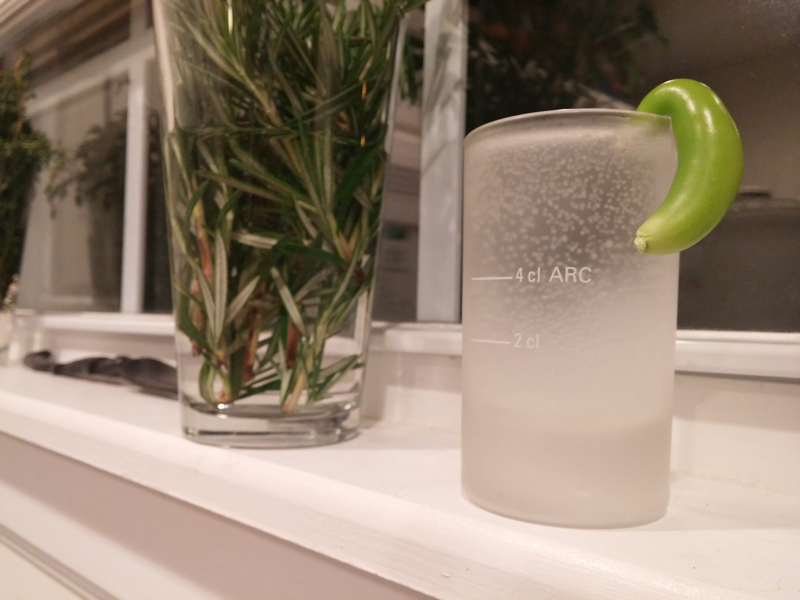 I came home to a pepper in a shot glass and didn't ask any questions. 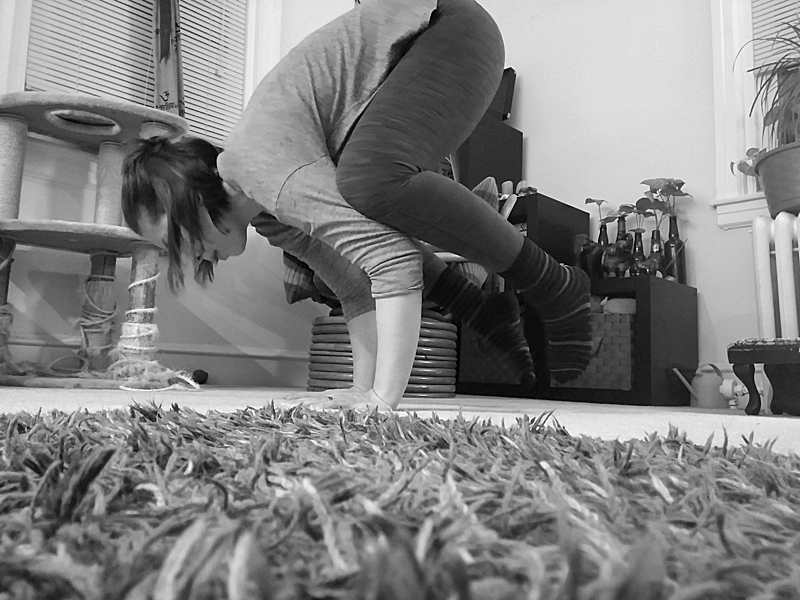 I attended my first ever yoga workshop - focused on arm balances - and felt both incredibly strong and weak at the same time. Then I met a friend in the city for some window shopping and dinner. 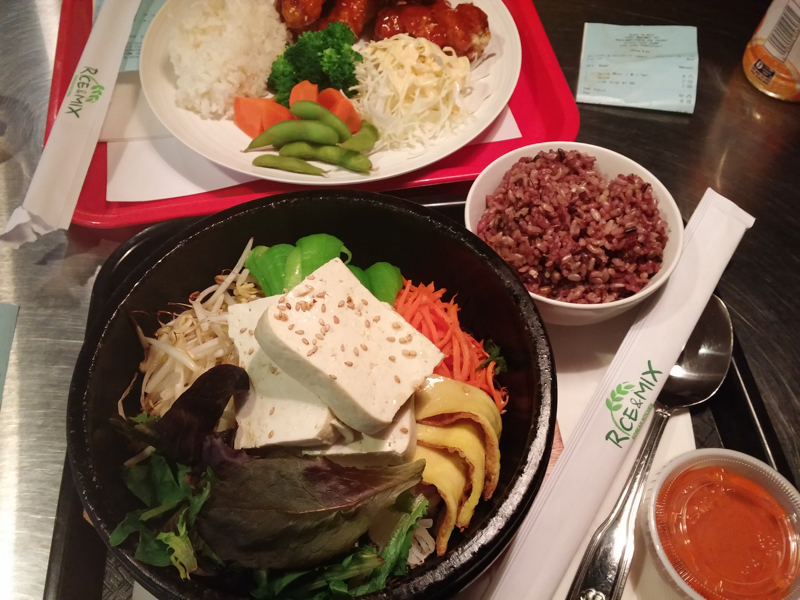 I took a photo of my rice bowl before I realized that it wasn't, in fact, what I had ordered. (The tofu should have tipped me off.) So that's a photo of someone else's meal! 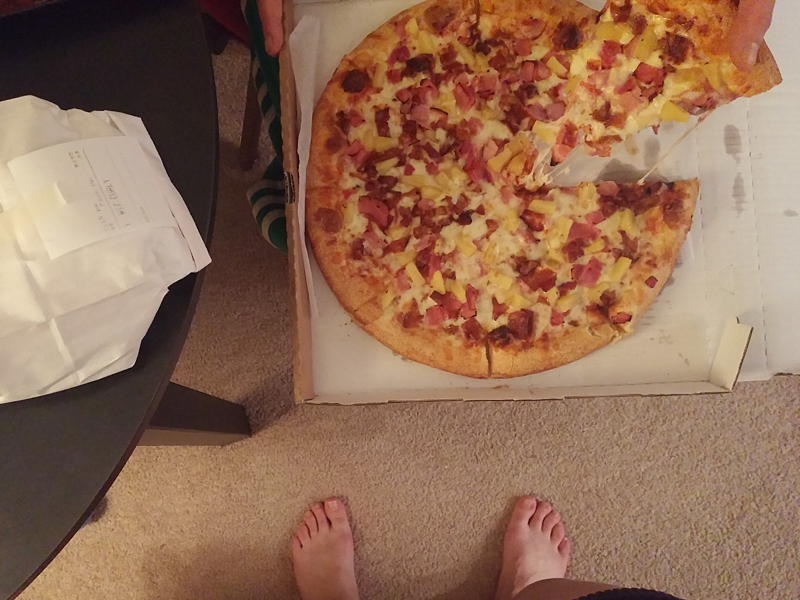 After a fairly healthy week and some sore muscles, all I wanted on Sunday was to binge on pizza and french fries.